The Italian Wine Ambassador flagship edition in Verona, Italy, saw the proclamation of 23 new Italian Wine Ambassadors and 1 new Expert. After five days of lectures and tastings (with 320 wines) the Vinitaly International Academy (VIA) gathers its international community in Verona, this time also in front members of leading Italian trade associations. Photograph: The newly-proclaimed Italian Wine Ambassadors and one Expert with Stevie Kim, members of VIA’s Institutional Advisory Board Unione Italiana Vini, Federvini, FIVI, and the VIA Faculty. Ezra Wicks, Wine Educator, U.S.A.
Kimberly Minarovich, Marketing & Sales Professional, U.S.A.
Ashlee Howell, Wine Consultant, U.K.
Kyle Harvey, Wine Educator, U.S.A.
May Matta-Aliah, Wine Educator, U.S.A.
Melissa Sutherland, Wine Consultant, U.S.A.
Lara Camozzo, Marketing & Sales Professional, U.S.A.
Erin DeMara, Marketing & Sales Professional, U.S.A. The VIA Verona edition of 2019 was a bumper crop. The selection for our flagship course is very competitive and we have the privilege of choosing among the best pool of highly-qualified professionals. Overall, we now have 204 certified Italian Wine Ambassadors and Experts. It is important to underline that nearly 560 candidates have gone through the course to date and by the end of 2019 we estimate that the number of course participants will reach 800. Our VIA Ecosystem has had a good start and we are finally ready to roll out the Italian Wine Educator platform to train Educators that will teach the intermediate-level Italian Wine Maestro course in their territories, thus increasing the number of professionals worldwide with specialized training into Italian wine. I am absolutely amazed about how in-depth we are going into a few different areas, particularly with the soil structure. I find that we are getting a lot more of information that I have had access to in prior courses. I find the walk-around tastings really amazing: to have the opportunity to try as many wines that we are trying and to compare and contrast as many different varieties coming from different parts of Italy or from different producers, and generally the depth of information. I found this to be an exceptional course. 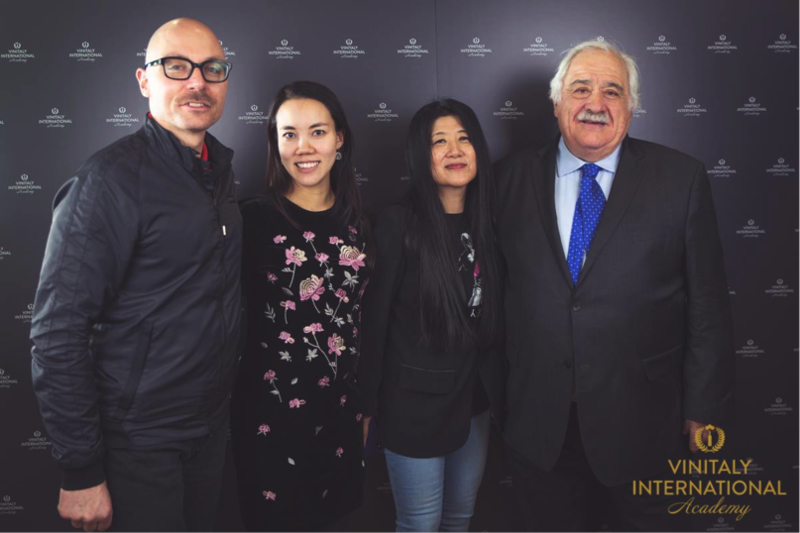 The newly restructured and tasting-intensive VIA course, which has been on the road in Hong Kong, Los Angeles, and Chengdu, returned home to Verona for its flagship edition that traditionally launches the start of the series of events surrounding Vinitaly. The success and appeal of the new format was demonstrated by a record numbers of new applications, along with students wishing to return to experience VIA as taught by faculty members Sarah Heller MW and Henry Davar. 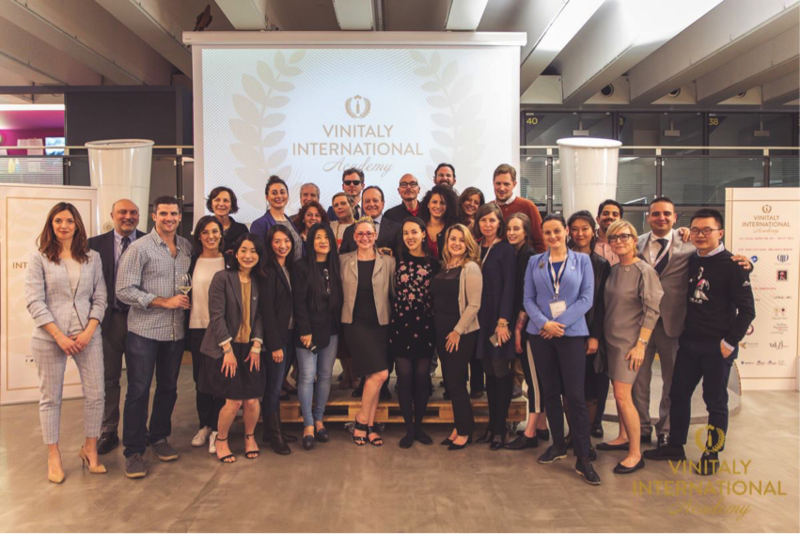 This year’s intake saw a high proportion of buyers, importers, and sommeliers not simply attending the course, but choosing to remain in Verona to enjoy access to Vinitaly. This was a hugely successful aspect of the programme allowing direct interaction between those with influence in their local territories with the supporters and wineries that continue to aid VIA, providing wines for both the guided tasting sessions and Tasting Labs. Not only did students have the opportunity to be exposed to 320 wines over the four days of the course, they enjoyed presentations from the VIA Supporters, placing the wines in context and giving a greater understanding of how the lesser known grapes and wines of Italy could enjoy success in export. During the course, Italia del Vino, Italian Signature Wines Academy, Famiglie del Vino, GAL Irpinia, Franciacorta, Consorzio Vini del Trentino, Consorzio Vini d’Abruzzo, and Sicilia DOC contributed a significant selection of labels. Moreover, some producers from these associations came to Verona to pour their own wines and explain them directly to the students who asked questions and gathered useful first-hand knowledge about iconic Italian wine styles and labels. I really appreciated how the course put together all the different aspects: the history of the country and the history of wine-making in general. So grape by grape I started to discover a completely new aspect of Italy that I didn’t know, even after living here for 14 years, after working in the wine business, and after my sommelier education. And it is fantastic to share the knowledge and the tasting notes with people from all over the world that are passionate about Italian wine. This is something really special. Also, the possibility to taste the wines that we don’t get in the countries where we live—there are some grape varieties and related wines that haven’t arrived in Sweden yet—this was really something fantastic. The Verona course also represented the perfect occasion to gather in person all the new VIA institutional players, who had the chance to meet and talk to the 62 professionals as well as to the VIA Faculty. Representatives of VIA’s Institutional Advisory Board members joined the traditional Pinning Ceremony and awarded the students who passed the exam: Ottavio Cagiano de Azevedo, General Director of Federvini; Matilde Poggi, President of FIVI Vignaioli Indipendenti; Chiara Menchini of the Legal Office at Unione Italiana Vini; Riccardo Ricci Curbastro, President of Federdoc. VIA Chief Scientist Prof. Attilio Scienza also joined the pinning ceremony and awarded successful candidates. He also commented on VIA’s future plans to continue to create compelling learning materials for the courses. At the pinning ceremony Veronafiere’s CEO Giovanni Mantovani also congratulated the new VIA Ambassadors and Expert on their achievements. ICE – Italian Trade Agency senior official Brunella Saccone made a few remarks underlining the Italian Trade Agency’s commitment to further VIA’s educational mission. ICE – Italian Trade Agency supported the Verona course and will do the same for the next one which will be held in New York from June 24 to 29, 2019. VIA’s next certification course in New York is currently accepting applications. About: Vinitaly International Academy (VIA) aims to be the gold standard of Italian wine education. It offers a complete educational path with standardized courses that will teach professionals and educators to master the diversity of Italian wine in a rigorous, organized manner. VIA’s main objective is to foster a global network of highly qualified professionals such as Italian Wine Ambassadors and Italian Wine Experts: in turn, they will support and promote Italian wine throughout the world. VIA was founded by Stevie Kim, Managing Director of Vinitaly International. The new VIA ecosystem avails of the guidance of Italian trade associations Federdoc, Federvini, Vignaioli Indipendenti FIVI, and Unione Italiana Vini as members of the Institutional Advisory Board. Italian vine genetics scholar, Prof. Attilio Scienza, oversees VIA’s scientific and educational direction as the Chief Scientist. VIA Faculty Sarah Heller MW and Henry Davar teach the flagship Italian Wine Ambassador course. The following trade associations in the Italian wine industry have also joined as VIA Supporters: Italia del Vino; Italian Signature Wines Academy; Le Famiglie del Vino, Wi-Fi Wine from Irpinia, Consorzio di Tutela Vini del Trentino; Consorzio di Tutela Sicilia DOC; Franciacorta; Consorzio di Tutela Vini d’Abruzzo. To date the VIA community comprises 190 certified Italian Wine Ambassadors and 14 Italian Wine Experts. Since its foundation in 2014, over 560 candidates from all over the world have taken VIA’s courses.